Reach Yoga Journey to Peru! A very special retreat with limited space. We will be visiting the one of the most spectacular places on the globe for yoga, meditation and to immerse into the ancient culture that has won my heart. CLICK HERE to be put on the info list. It woulds be great for you to join us in this magical land. 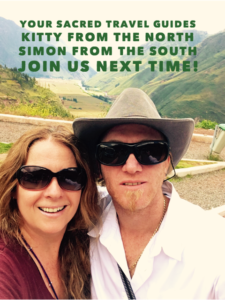 Some of the places we visit are Lima, Cusco, Aquas Calientes, Machu Picchu, Temple of the Moon, Ccochahusi Animal Sanctuary, Pisac and Ollantaytambo in the Sacred Valley. Plus a few surprises along the way!